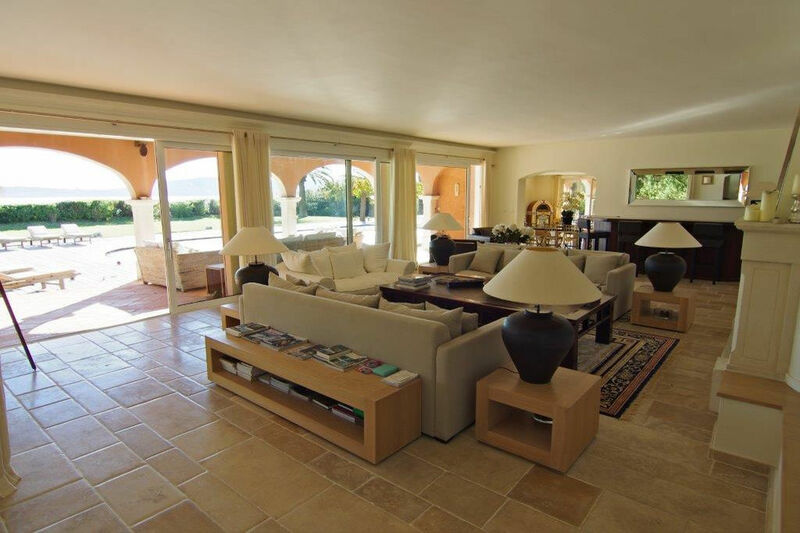 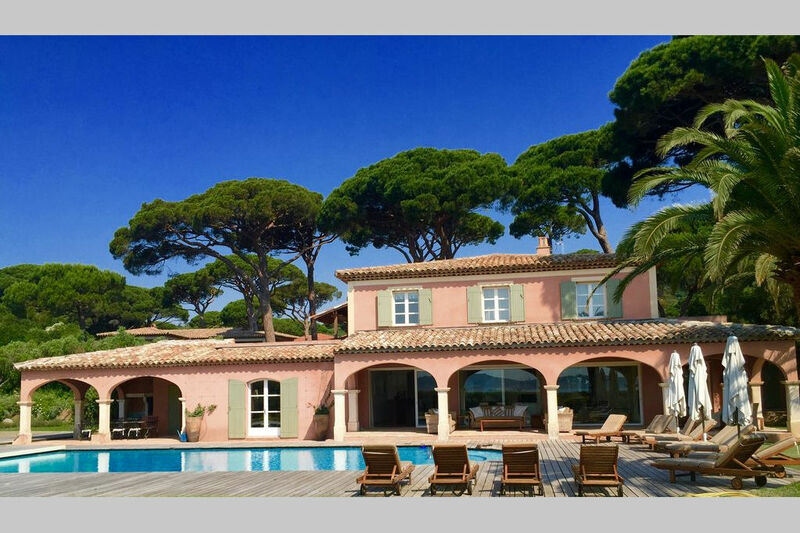 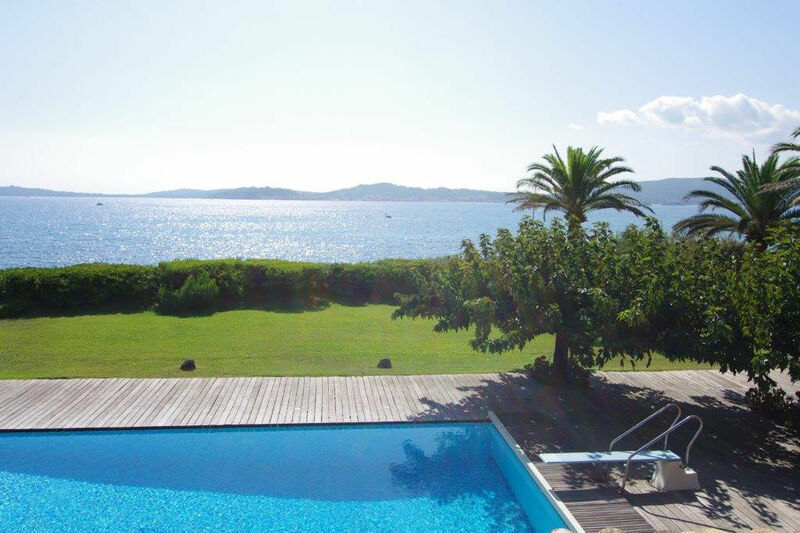 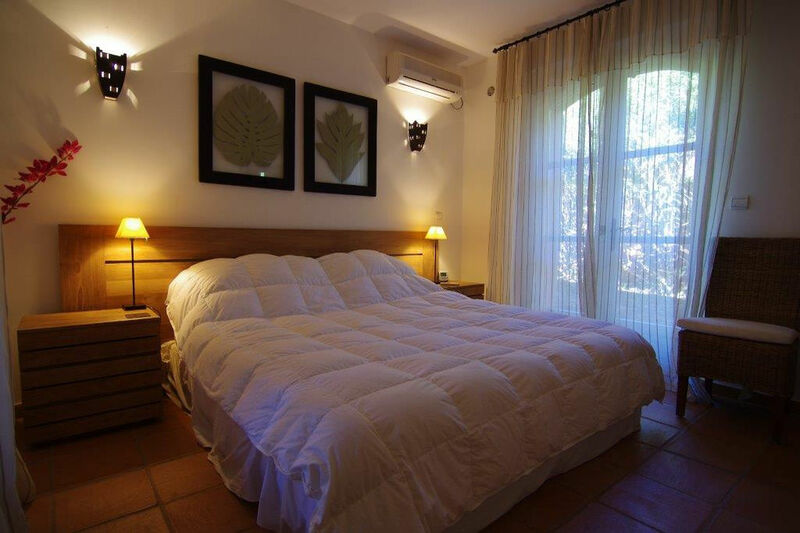 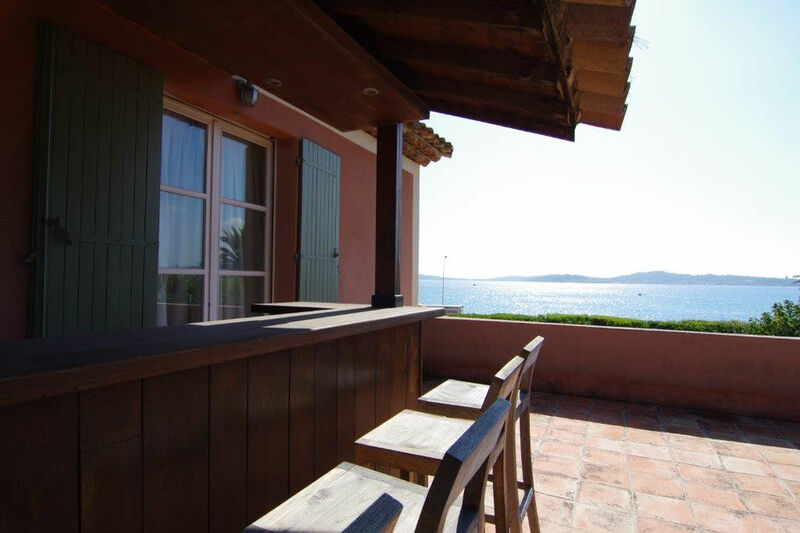 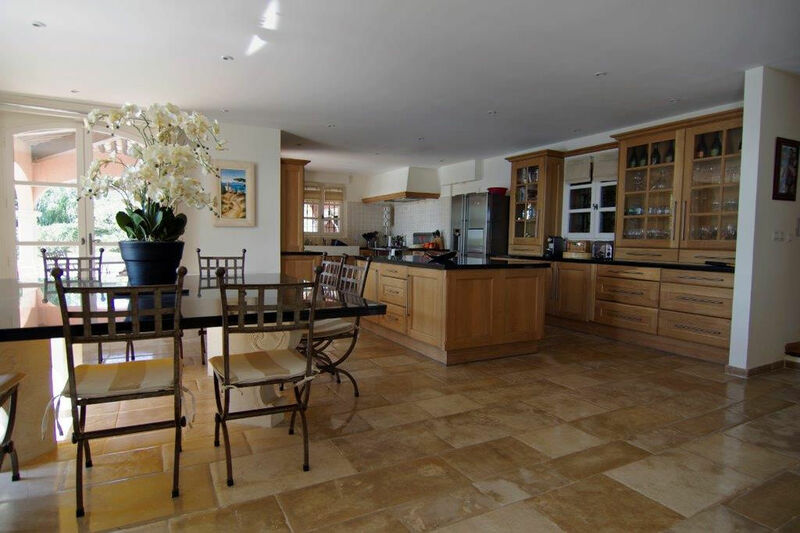 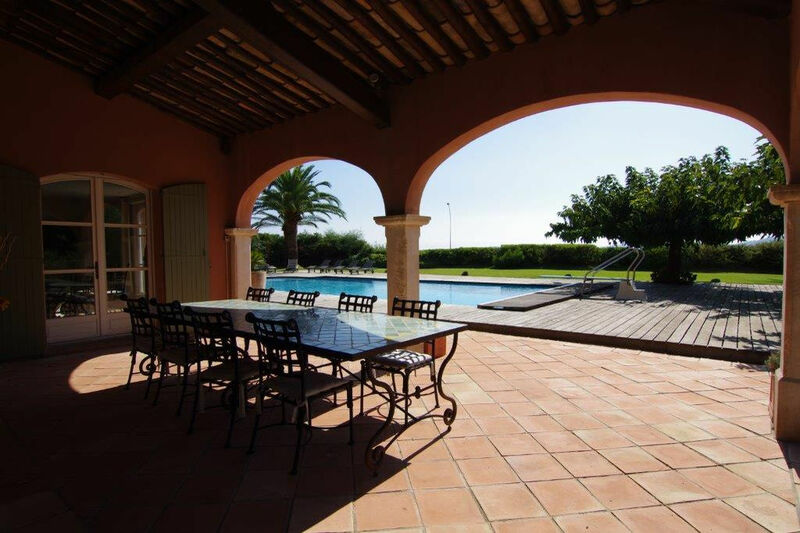 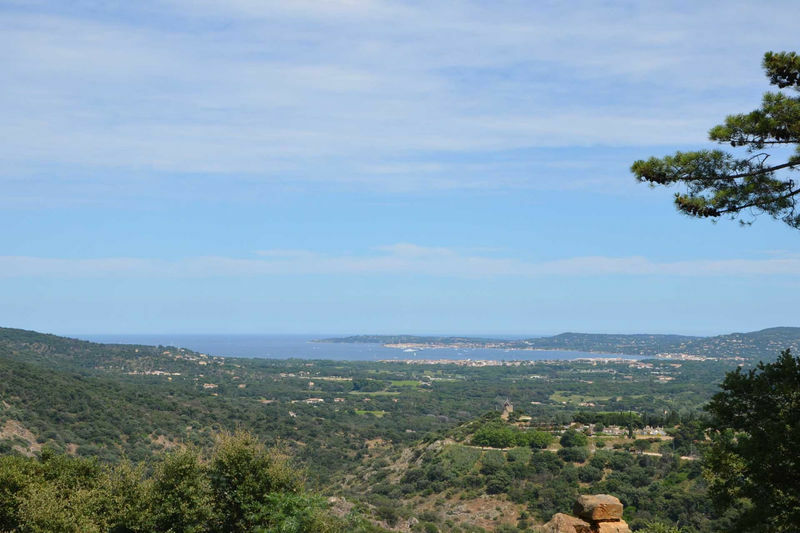 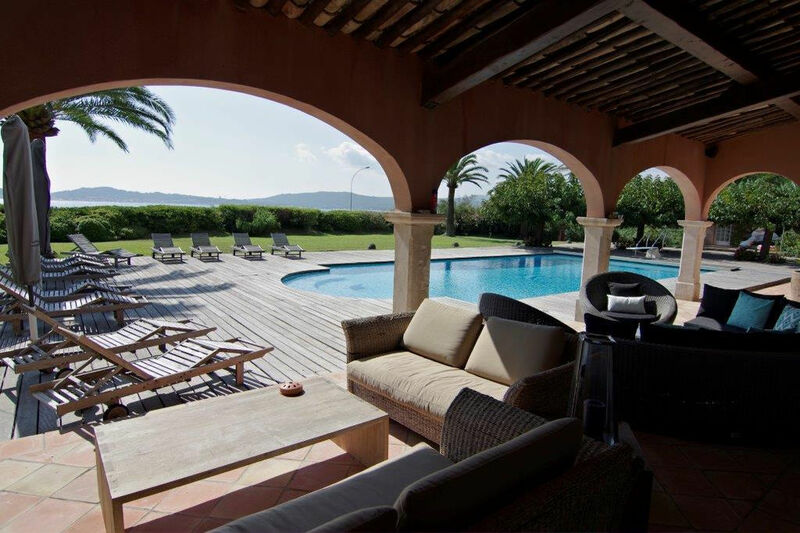 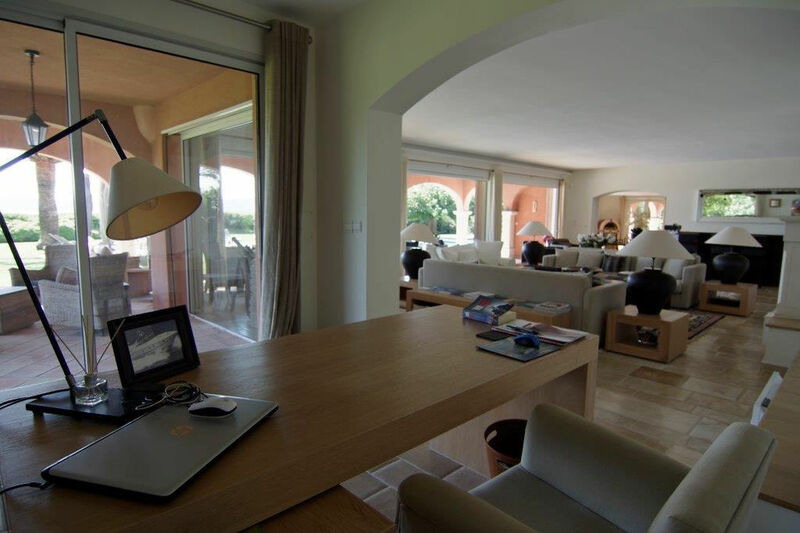 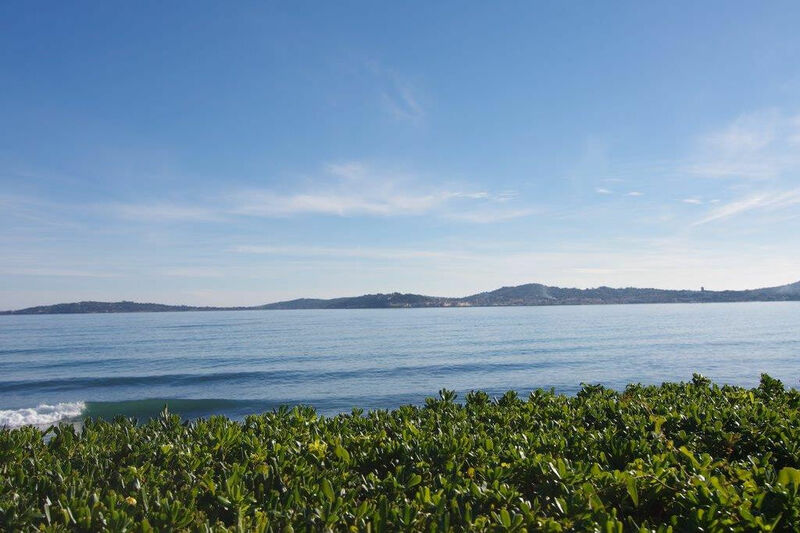 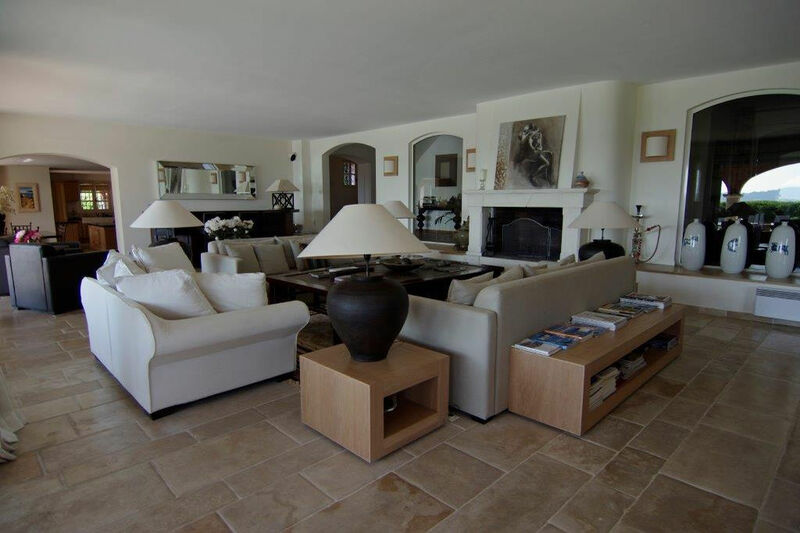 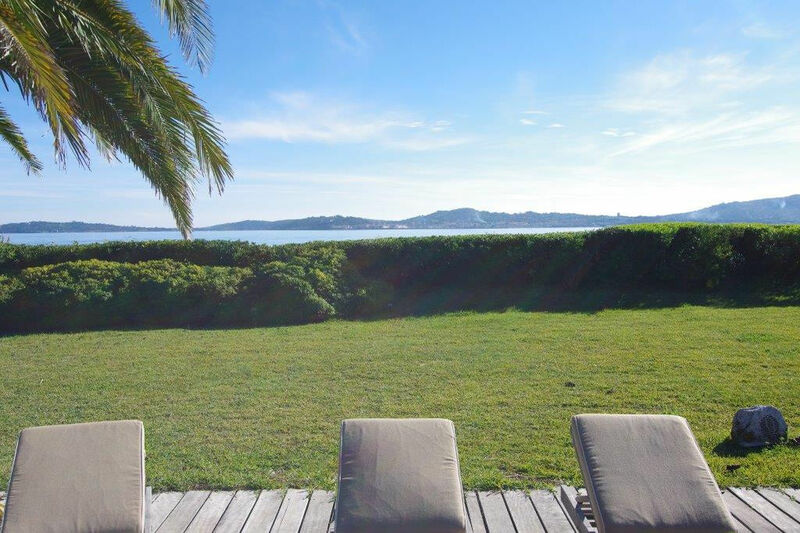 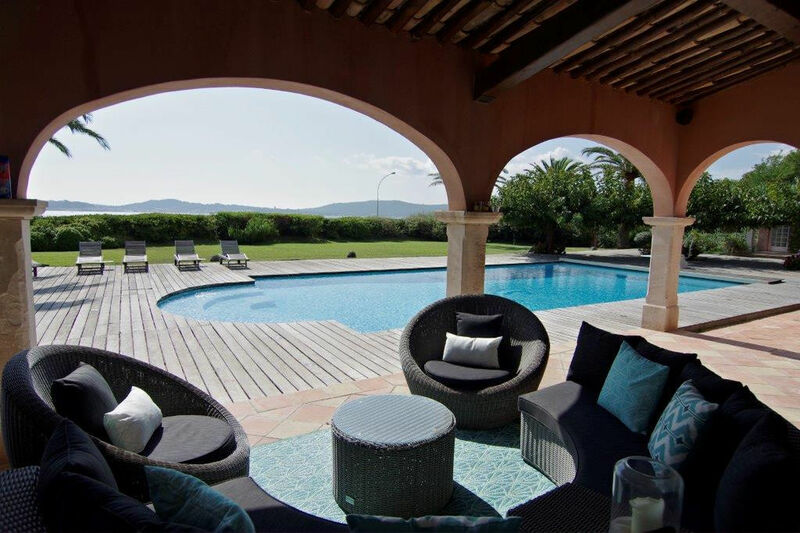 GRIMAUD: Exceptional waterfront property, located in the Beauvallon area, near the golf and sandy beaches. 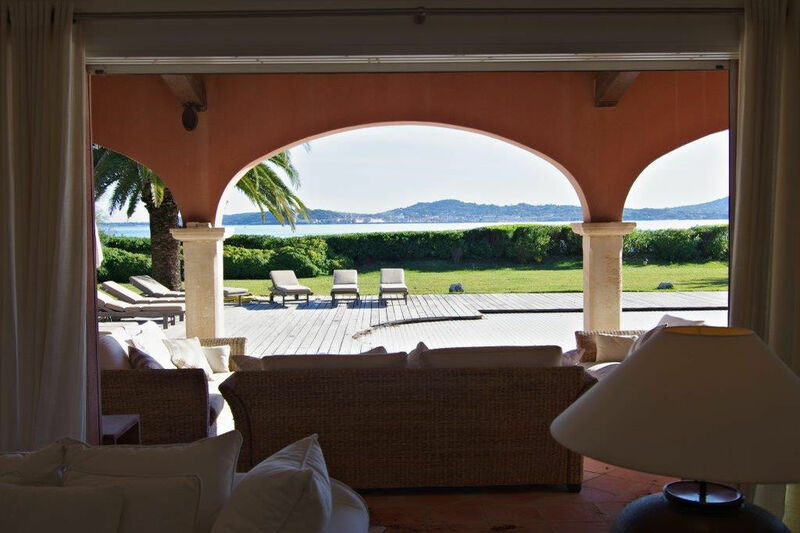 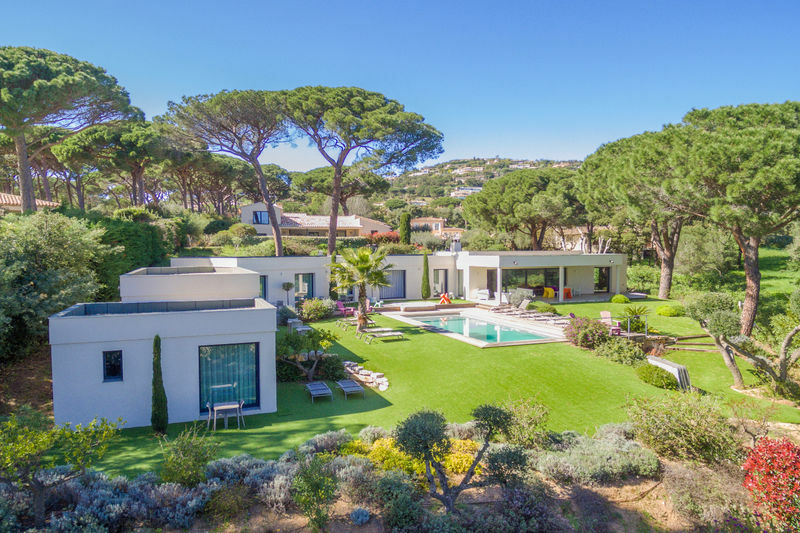 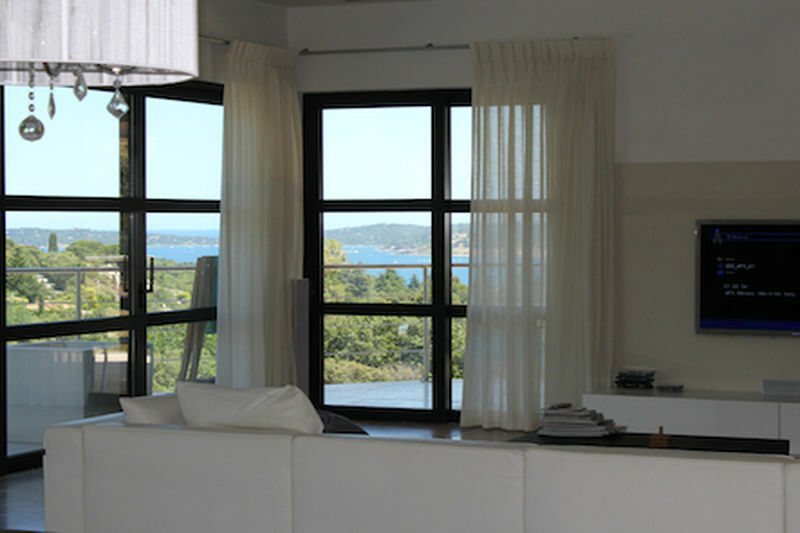 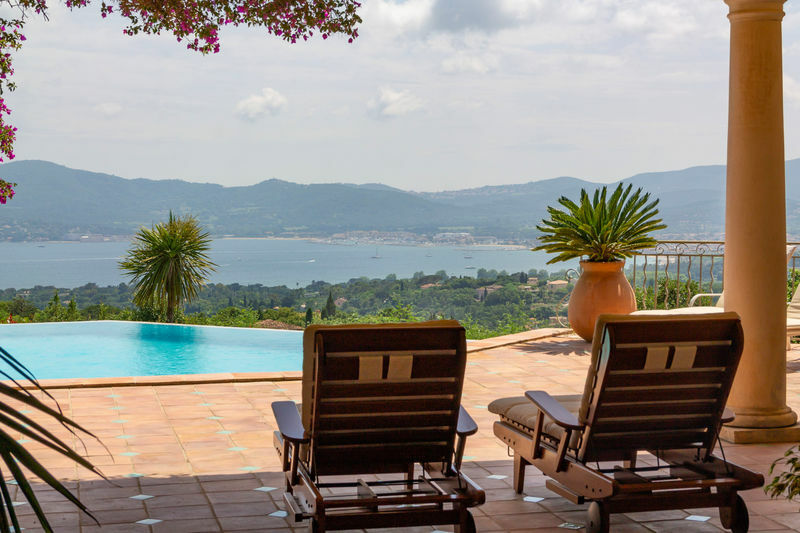 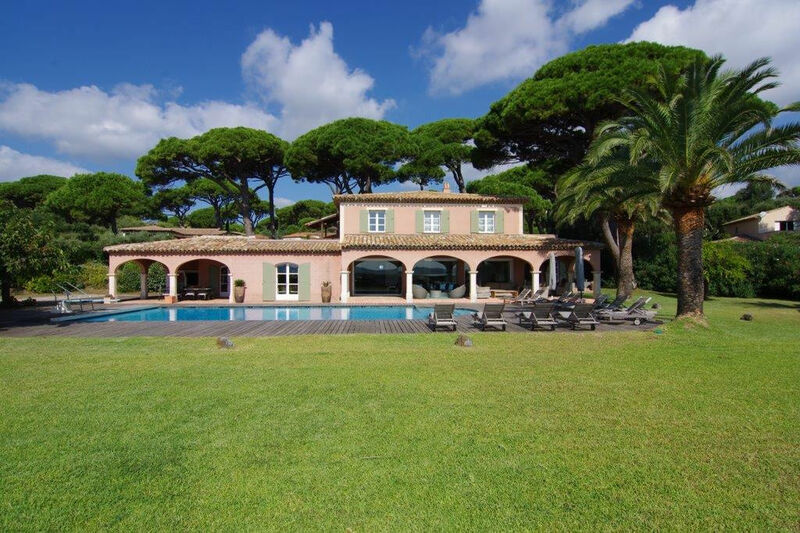 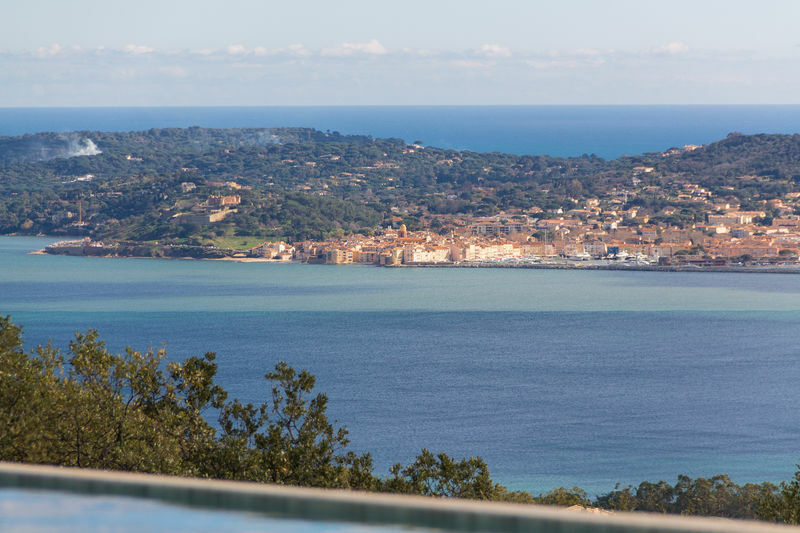 The villa looks out on the bay and village of St Tropez. 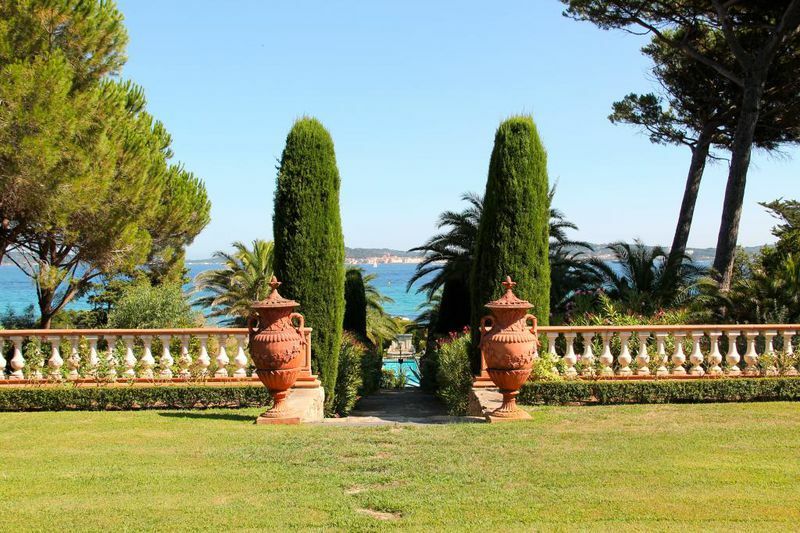 Automatic sprinkling of the garden. 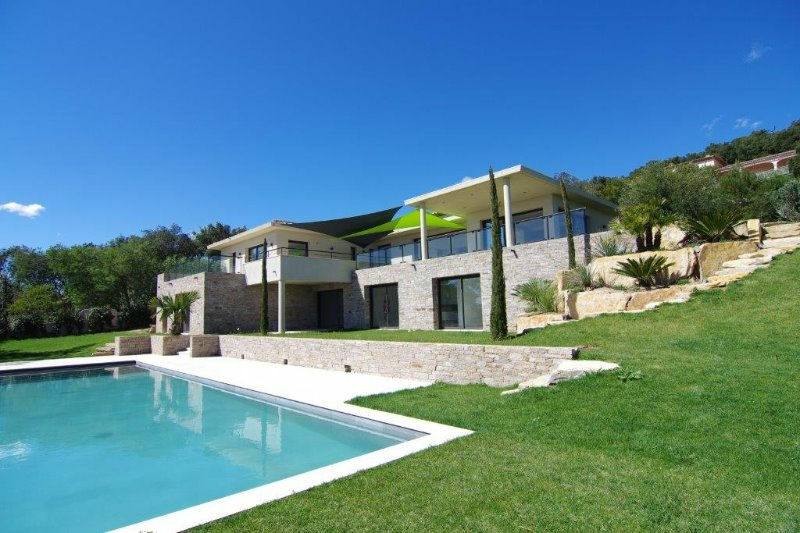 A true gem to discover!